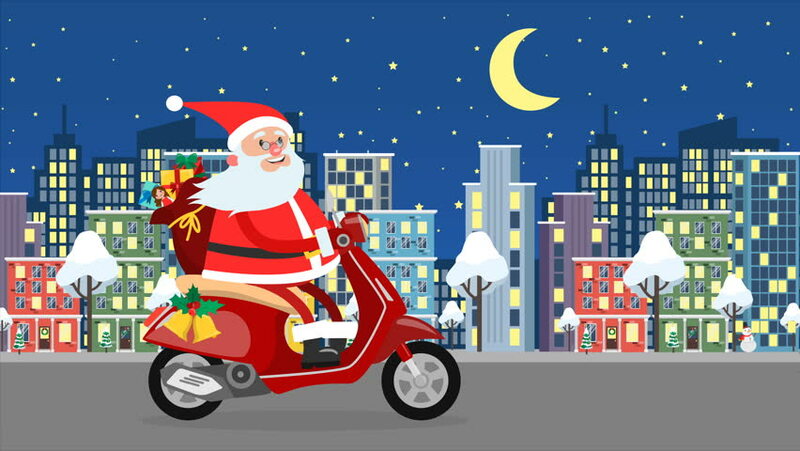 Happy Santa Claus riding on a moped over the night city with bag full of gifts. New Year and Christmas greeting. Cute christmas loop gif animation 4K. 4k00:10Happy Santa Claus riding on a bicycle over the night city with bag full of gifts. New Year and Christmas greeting. Cute christmas gif animation 4K. 4k00:10Happy Santa Claus riding on a moped across winter forest with bag full of gifts. New Year and Christmas greeting. Cute christmas loop animation 4K.